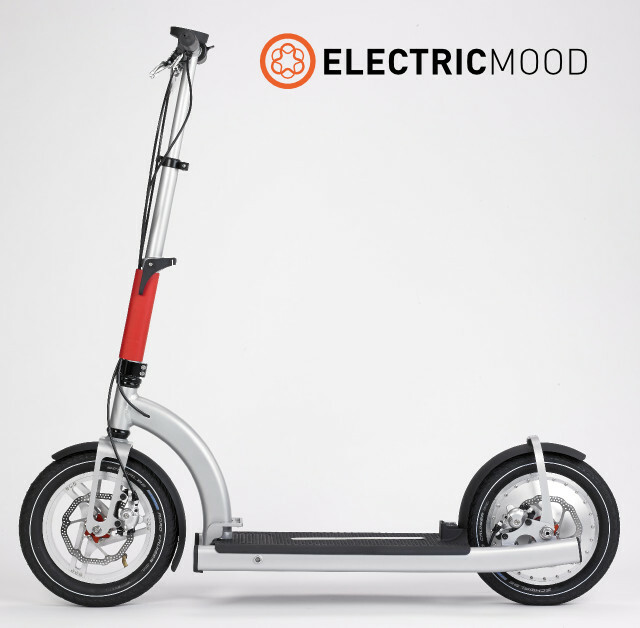 Thanks to our patented engine the ELECTRICMOOD is extremely light while still offering comfort and autonomy for your urban trips. a very small footprint when folded: 37" x 22" x 8"
You are in total control! Your daily trips will be smooth, like floating on air! We are very excited to launch this new vehicle on the IndieGogo crowdfunding platform. Check our project page on the IndieGogo website! The e-engine and 12" inflatable wheels offer a silent and comfortable ride, so you can quietly and calmly arrive at your destination. Tedious urban trips become fun as driving over bumpy roads feels like floating on air! 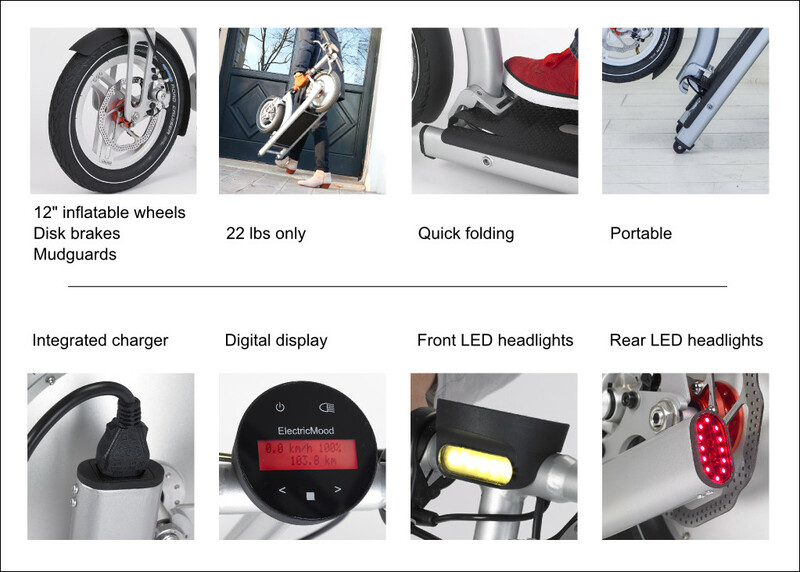 Folding, charging, using, transporting, storing the ELECTRICMOOD is so easy! 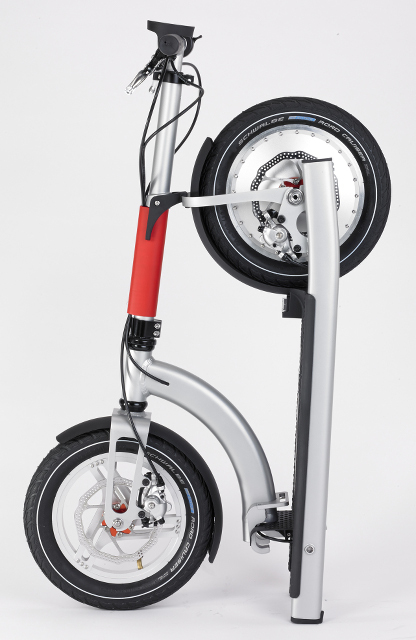 With the e-motor, the rear wheel is directly driven by the electric engine without mechanical transmission. The count of wearing parts is, thus, reduced to the minimum. Maintenance is simplified. The strength and durability of the frame is provided by high performance aluminum alloy.